In the general Spawn area of the Delta map, there is an extensive series of underground rooms and such. This is the dorm, and every player (I think) has a room. These rooms hold beds and chests and your own individual decorations. 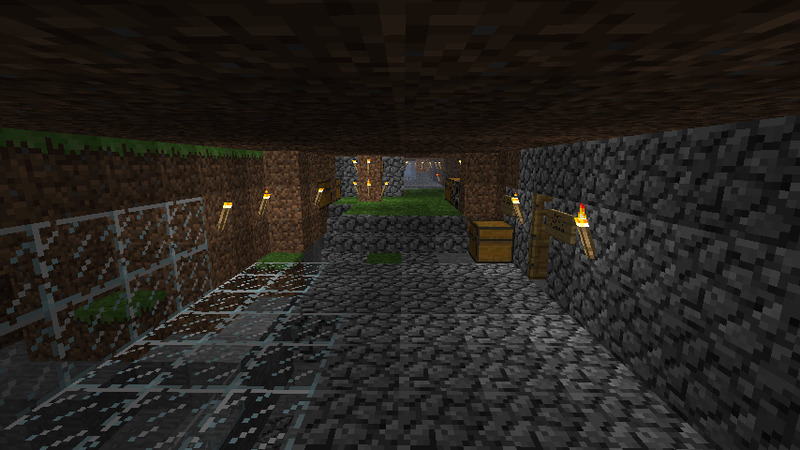 Other features include indoor farming, a mining complex, and tunnel systems throughout the map. In many parts of the dorm are cobble patches, which have been linked to a griefing incident.